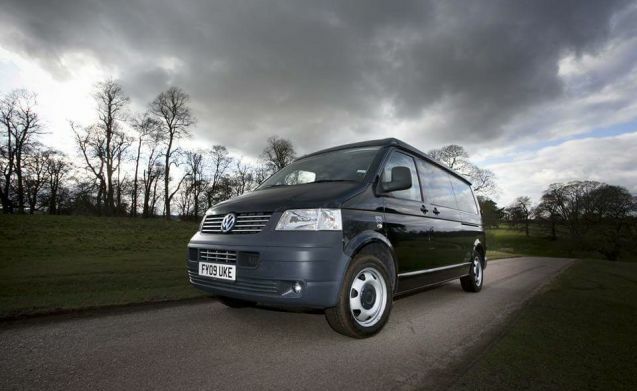 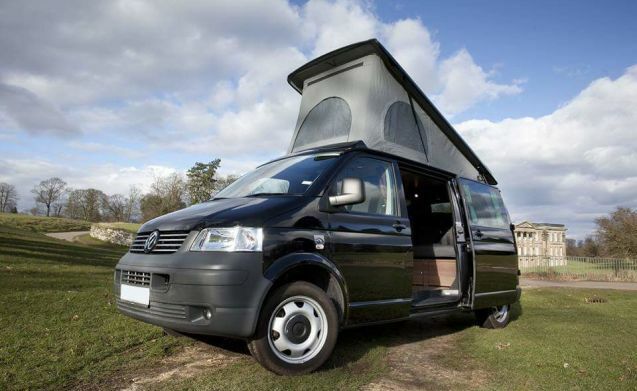 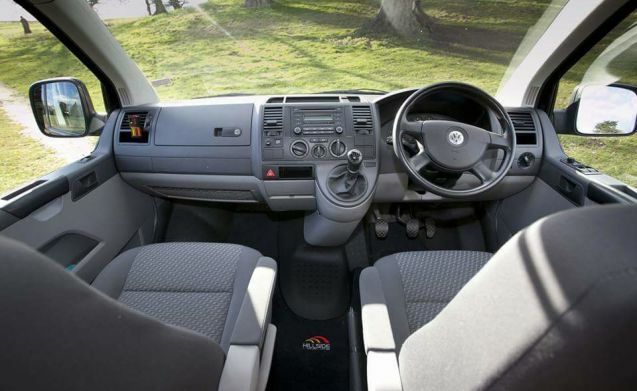 Explore the UK and beyond in comfort and style in our fabulous well equipped Sporty VW T5 2.5. 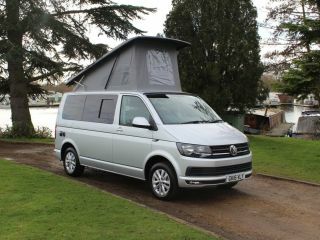 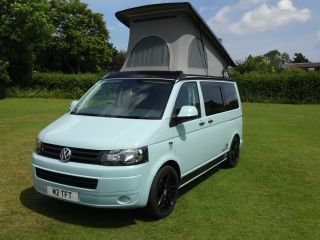 TDI T32 Long wheel base 4 berth elevating roof camper. 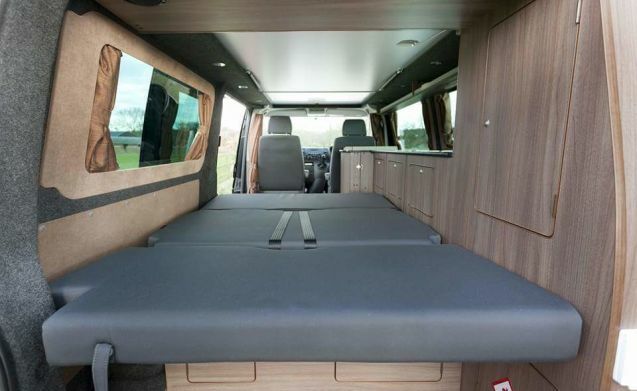 Clean, comfortable and spacious it’s the perfect base for your adventure. 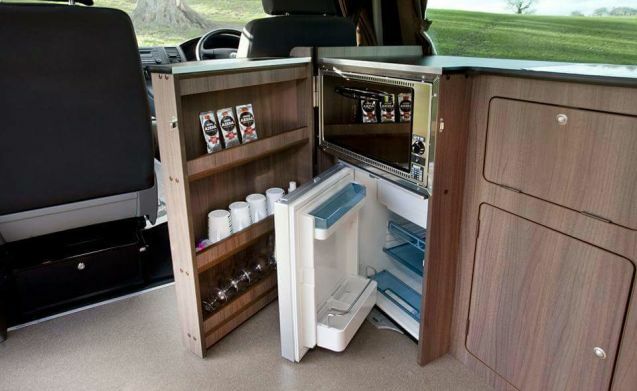 Our LWB camper gives you extra space without premium charges. 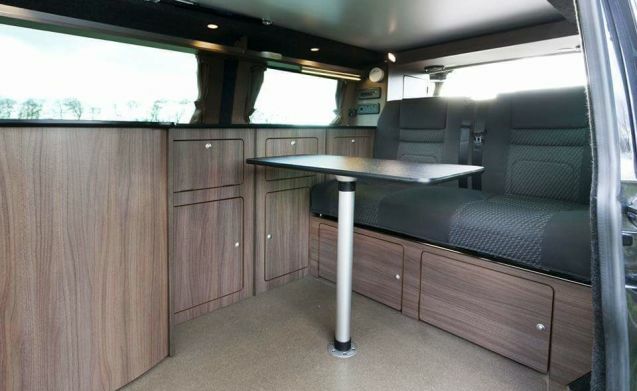 Converted in September 2015 by professional VW converters Hillside Leisure of Derby we know you will be very impressed at the quality and finish. 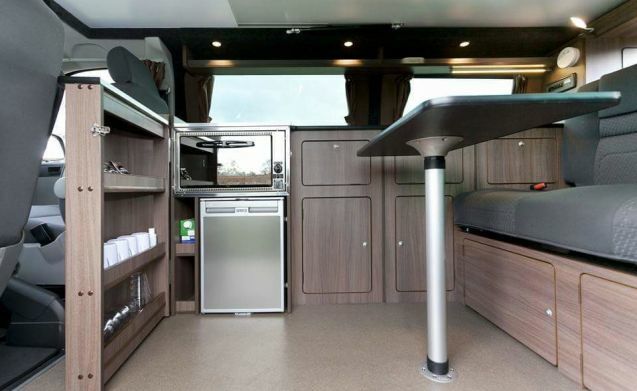 The camper comes fully equipped with all the essentials and includes a fridge, oven/grill, hob, sink and hot water so you’ll be able to enjoy a few home comforts while still enjoying the great outdoors. 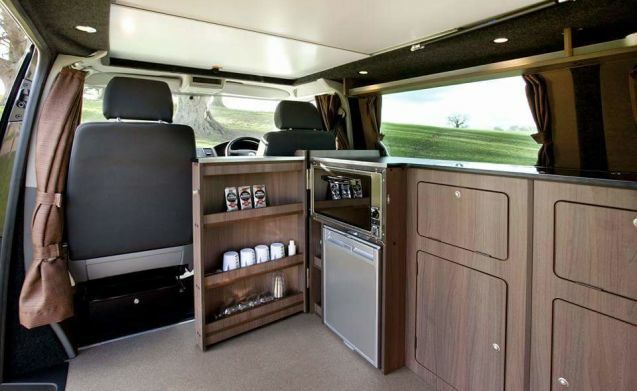 Blown air thermostatic heating means you can enjoy a road trip no matter what season so you’ll be cosy and snug in no time. 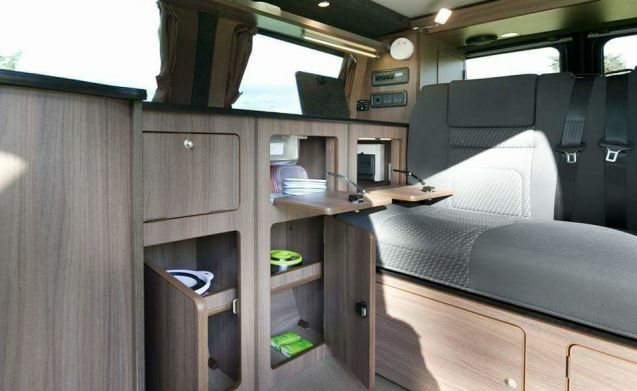 A long wheel base camper means a lot more extra space to stretch your legs and store your gear. 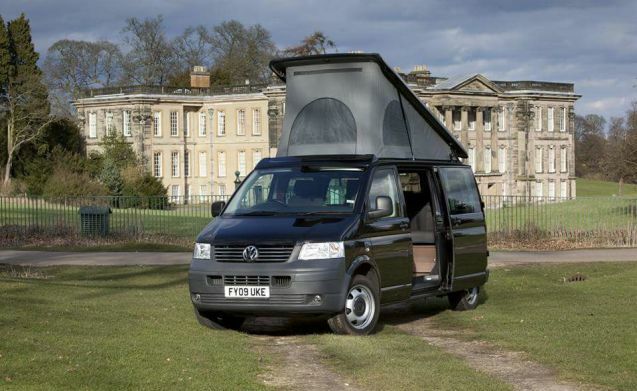 Most VW Campers available to hire are short wheel base and LWB campers like ours rare so be sure to book ahead to avoid disappointment. 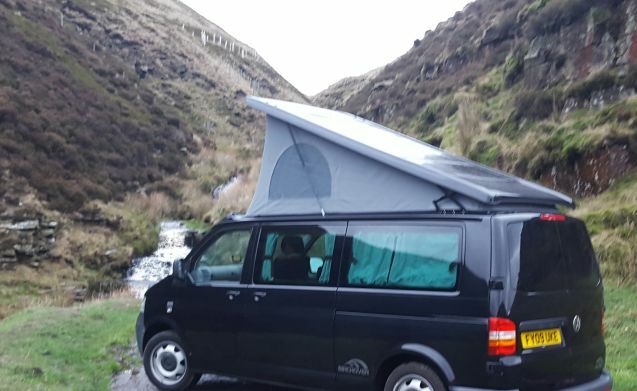 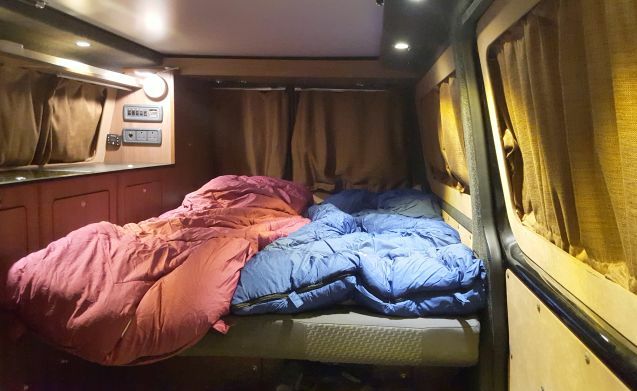 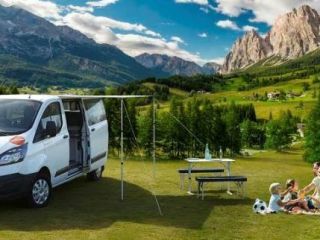 Renting from a small family run business like ours means you are assured of getting a well maintained, well equipped, spotlessly clean Camper van.